Buying a new truck is a big step, but it should also be one of the most fun and exciting purchases you ever make. 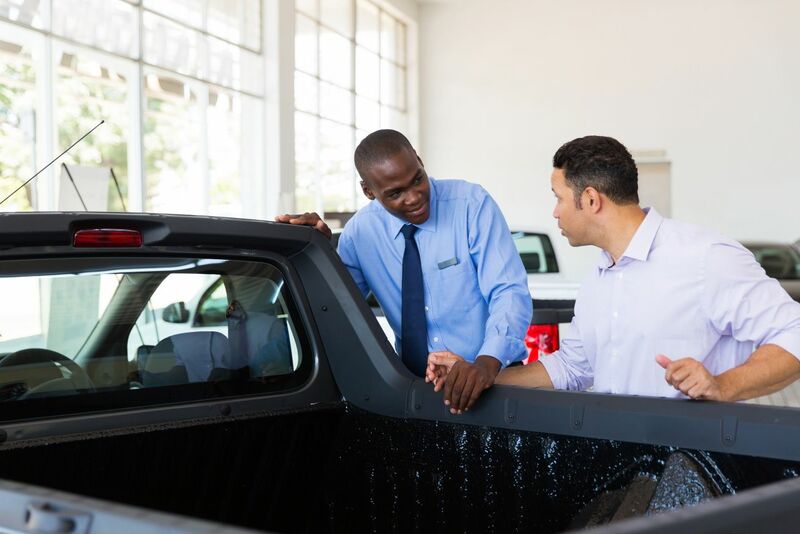 Knowing the answers to some of the most common questions about choosing your new ride can relieve the stress of not knowing and help you simply enjoy committing to that new truck purchase. Should I lease or buy a new truck? These days, you have a variety of payment options when it comes to getting behind the wheel, and one option is to lease your new truck. When you lease a vehicle, you don’t own it, but you basically agree to pay for the amount of the vehicle’s total value that is expected to depreciate over the course of the contract period. A lease typically requires less money upfront and offers a lower monthly payment than purchasing. Also, you’re only committing for the lease period, which is usually less than three years. Leasing a truck can be a better financial option than buying for those who drive a relatively average amount of miles and don’t accumulate too much wear and tear as a result of work, towing, off-roading, etc. Is 4X4 really worth it? If you plan to spend time off-road or on the boat ramps, the added traction capabilities of four-wheel drive can definitely be worth the extra cost. Many times you’ll also find that a 4X4 truck will receive a higher tow rating, which can be beneficial even if you don’t plan on taking your truck into the mud. Of course, 4X4 does come with trade-offs, including a slight reduction in fuel mileage. What are the advantages of a diesel-powered truck? Although diesel engines typically come with a higher price tag upfront, the price can be worth it for drivers looking for maximum power, efficiency and long engine life. Diesel engines work on a different ignition principle than gasoline engines, and that translates to a completely different power profile. In short, diesel engines run at lower RPM and produce proportionately high levels of torque, which means big towing power. Most diesel enthusiasts also boast about incredibly long engine life, although this has much to do with the maintenance schedule. One thing to keep in mind with diesel is that it isn’t necessarily available at every service station, so fueling up can be a challenge at times. Is a manual or automatic transmission better for a truck? Most of the new trucks you’ll find for sale these days will likely be equipped with an automatic transmission. While many manufacturers often rate automatic-equipped trucks for higher towing, some drivers prefer a manual transmission for optimum fuel economy. Consider the type of driving you will be doing with your truck, then decide if an automatic or manual transmission will not only fit your needs, but also be the most enjoyable for you to drive. Can a truck be my family vehicle?